When Did Chickens Became Food? Chicken: it’s what’s for dinner, and it’s been dinner for centuries. It’s hard to pinpoint exactly when the fowl became a protein staple for humanity, but new research conducted by archaeologists from Israel’s Haifa University has unearthed evidence that people were snacking on chicken wings as early as 2400 years ago. Researchers have discovered large quantities of chicken bones at the Tel Maresha archaeological site in the southern lowlands of Israel dating to the Hellenistic period, setting the bar at sometime between the second and fourth centuries BCE for the earliest evidence of eating chicken. The archaeologists discovered an exceptional number of adult bird remains at the dig site, with twice the number of hens as there were roosters – indicating that these remains were from butchered and cooked birds instead of just the unfortunate defeated animals from the aftermath of cockfighting. The discovery of chicken remains in Israel at archaeological sites between 2200 and 2400 years old isn’t something that’s necessarily new. However, the frequency in which these remains were found at Maresha is unique – researchers report that at most sites, the proportion of chicken bones when compared to the entirety of animal remains usually topped out at around 13 percent. By comparison, the number of chicken bones found at Maresha was more than twice that figure, constituting 29 percent of all animal remains. Additionally, the number of dig sites dating to the Hellenistic period that had chicken bones is much higher than those dating to the Middle Bronze Age, indicating that the domestication of the animal occurred between the two time periods. While 50 percent of finds from the Hellenistic period had chicken bones, only 3 percent of Middle Bronze Age sites have produced evidence of chicken remains. The evidence seems solid that sometime between the Middle Bronze Age and the Hellenistic period the more aggressive, wild chickens of the past were bred as livestock, increasing their docility. The focus on chickens before that was likely just as entertainment, with the bloodsport of cockfighting being a popular pastime then, just as it persists today in certain regions of the world despite its brutality. Cultures in which cockfighting is deeply-ingrained often continue the practice, even though it’s been outlawed on humanitarian grounds in a large number of countries. According to the research study, the scientists behind the discovery believe that the advent of the chicken as a domestic animal possibly originated from southern Israel and the Levant before eventually spreading to Europe. Maresha could have easily been part of this process, as the city was on a major trade route during its heyday. 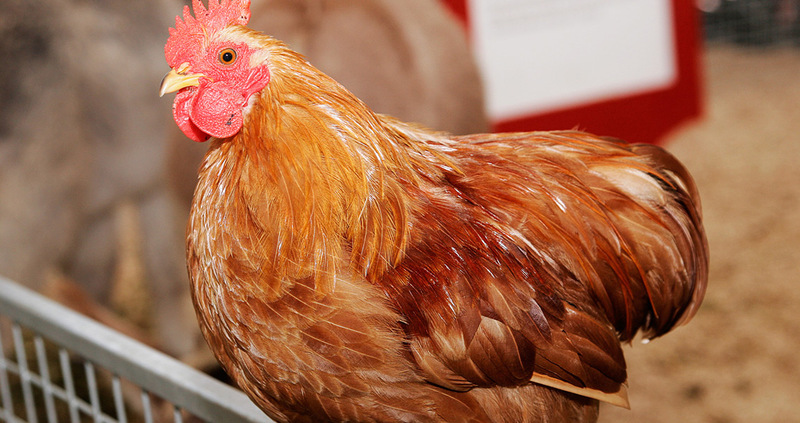 However, Maresha had been destroyed by the late second century BCE, which would mean that there were likely other sources for the spread of domesticated chickens to Europe.